Ravine Hotel has been hosting major tennis tournaments for the last 10 Years. Here’s a few more-“Diwali Bash Series”. These tournaments are held especially for the kids playing under 10, 12 & 14 years events. 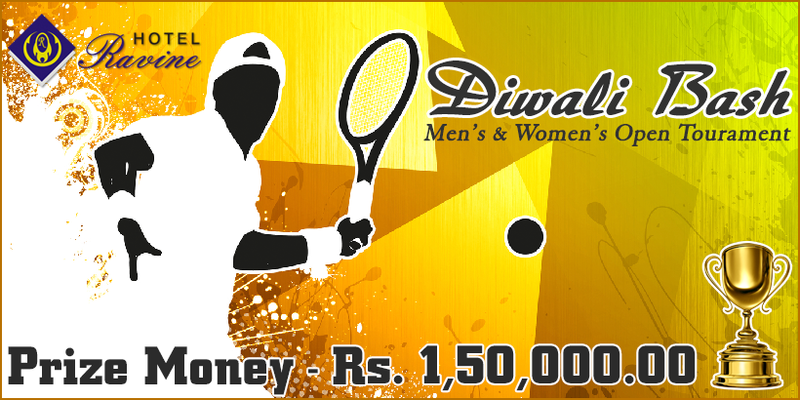 These events will be organized by the Ravine Hotel, which is located among the beautiful valleys of Panchgani, under the auspices of the Maharashtra State Lawn Tennis Association (MSLTA) & All India Tennis Association (AITA). we have state-of-the-art facilities, making it a perfect choice for hosting these tennis tournaments, officials of Ravine hotel and MSLTA/AITA ensured that the tournaments will be successfully carried out. Bookmark these dates in your calendar and get ready to be a part of the tennis game at Ravine hotel. Make your bookings well in advance to avoid missing out on the exciting event.